Fall is officially here, and if you're anything like our family that means you've already been out picking apples at one of our glorious Vermont orchards. I consider pie baking a way of life, so I never worry about using up our apples, but I'm always looking for other delicious recipes for the giant red Macs that fill up my kitchen this time of year. When I woke up the other morning and felt that familiar chill in the air, I knew it was time for a warm breakfast. 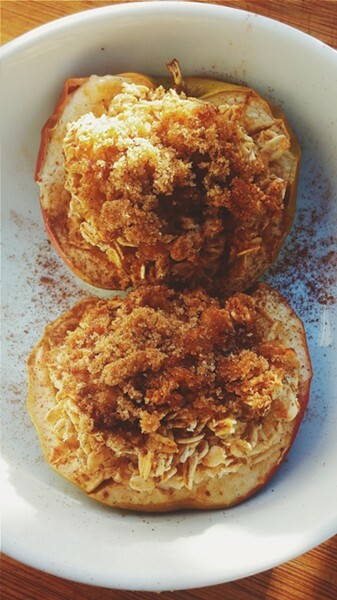 So I came up with this recipe for oatmeal-stuffed baked apples. My kids went crazy for it. 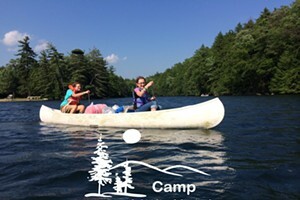 It's not quick enough for a school morning, but it is very easy. Give it a try this weekend! Put the oats in a bowl and pour the almond milk over them. Stir a bit to combine. Set aside to soak while you prep the apples. Slice a thin bit off the back of each apple half so it will lay flat. Lay it on your counter with the inside facing up. Using a sharp paring knife, carefully cut the core out of each apple half, taking care not to cut through the bottom. 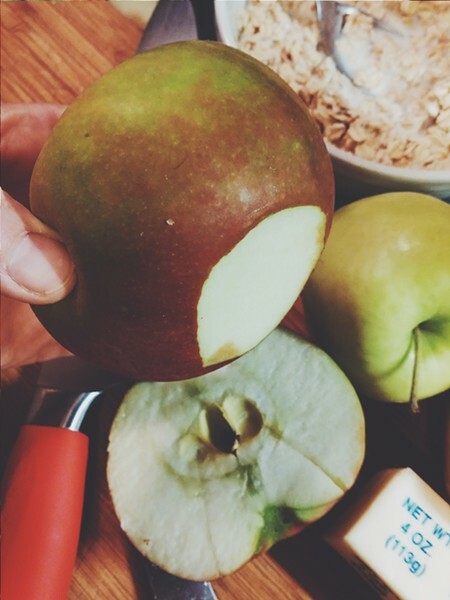 You want to make little apple bowls for the oats. Line a square baking pan with parchment paper, then place the apple halves in the pan snugly together. Fill each apple half with a few spoonfulls of soaked oats, then top each one with about a teaspoon of butter, a teaspoon of brown sugar and a sprinkle of cinnamon. Bake for 20 minutes or until the apples are soft and the sugar starts to caramelize.